Dem Stacey Abrams Admits Defeat In Georgia Gov Race With Blistering Speech Denouncing Voter Suppression - Joe.My.God. Democrat Stacey Abrams ended her run for Georgia governor on Friday as the state prepared to certify the election, but she said she would not concede the contest to Republican Brian Kemp. Saying the law “allows no further viable remedy” for her bid for governor against Kemp, Abrams announced a new voting rights group that will file “major” litigation against the state over electoral issues. 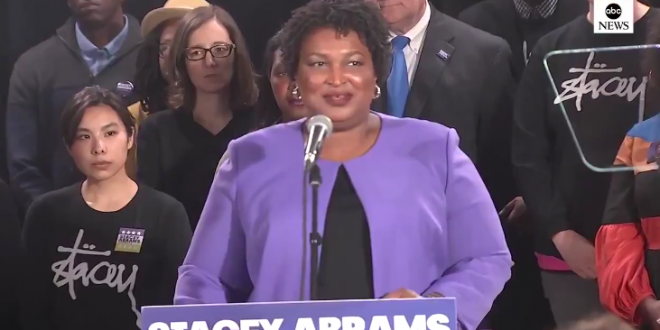 Abrams laced her speech with critiques of Kemp, a former secretary of state who she said was “deliberate and intentional in his actions” to suppress the vote. “I will not concede because the erosion of our democracy is not right,” she added.